Students planning to graduate should contact their advisor to initiate the process. It is the student's responsibility to ensure that a graduation application is received in the Admissions and Records Office. Graduation information sessions take place during the fall semester. If you are unable to attend a graduation information session, please contact the admissions and records office for more information. All graduates must have a GPA of 2.00 in all studies attempted which are applicable toward graduation. Course substitutions cannot exceed 10% of the total credits of the program. At least 25% of the credits must be acquired at the college awarding the degree. Late applications will still be processed; however, graduation certification could possibly be delayed. Applications are due Friday, November 9, 2018. During this practice you will be given instructions on how to line up for graduation and what will take place during the ceremony. It is recommended that all graduates attend one of the times listed above. The practice usually lasts less than an hour. There will be refreshments and door prizes to help celebrate this exciting occasion. Because handicapped seating is limited, if you have a guest who will be attending the graduation ceremony that has a special need/disability, you will need to see a staff member at one of the practice times. Graduation will be Wednesday, May 15, 2019 at 6:30 p.m. in Edwards Hall, room 117. Immediately following the formal exercise, a reception will be held for graduates and their family and friends. 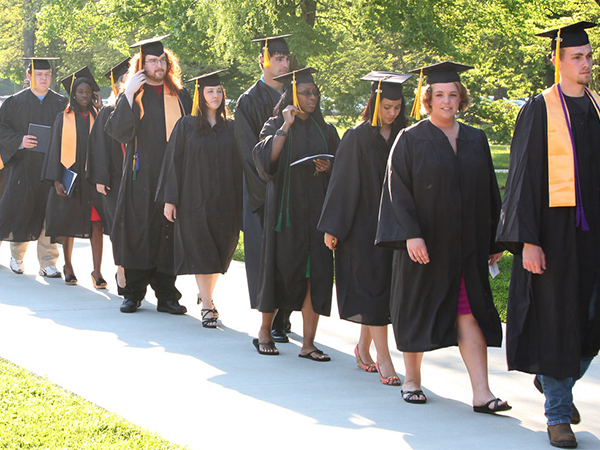 Degrees, diplomas and certificates will be mailed to the May graduates in June and August graduates in September. Cap and gowns will be available for purchase from the NRCC bookstore. If you have misplaced your original NRCC diploma, a replacement can be ordered through the Admissions and Records Office. The cost is $10 for each diploma ordered. You should allow 4 to 6 weeks for the diploma to arrive.